Coming our way in 2012, Sinister, from director Scott Derrickson and screenwriter C. Robert Cargill, presented itself as a refreshing new horror property, not one that shunned typical cliches but did provide some neat, disturbing twists to the well worn genre. As is the way with successful horror movies, a sequel has come our way, with Derrickson and Cargill saying on to pen the script and helming duties passed off to Irish director Ciarán Foy (Citadel). 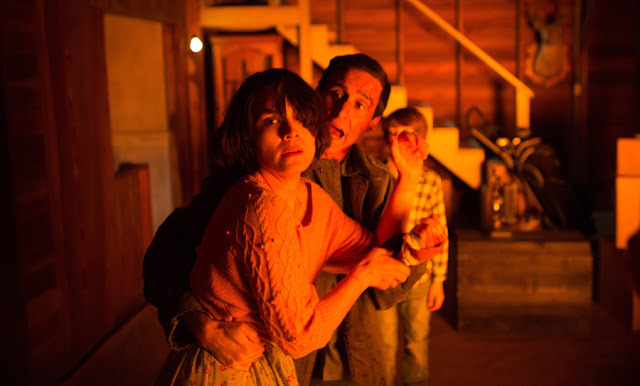 Foy does do a good job of recreating the creepy atmosphere of the first movie, and while it works best expanding on the mythology of the original’s literal, family murdering boogey man, Bughuul, Sinister 2 unfortunately just serves as a rehash of what came before. We’re pretty much thrown into the story from the opening scene, with James Ransome returning as the still unnamed ex-deputy dedicating his life to stoping pagan deity Bughuul from taking anymore victims. His quest takes him to a farmhouse where young mother Courtney (Shannyn Sossamon) and her sons Dylan and Zachary (real life brothers Robert Daniel and Dartantian Sloan) have relocated to, but they are not alone as the demon and his cadre of undead child followers have set their eyes on Dylan. 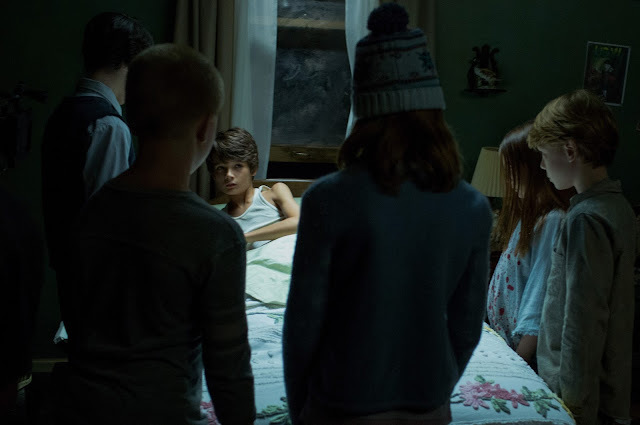 Sinister 2 actually follows two narrative threads, with So & So’s (yes, that is Ransome’s characters name) investigation just following in the foot steps of the original, while Dylan’s turn to the dark side is where the meat of the story lies. This is where the ‘home movies’ of Bughuul’s previous victims’ demises (the main hook of the franchise) come into play, a lot more elaborate and disturbing this time round, and with these scenes Foy creates a brilliant sense of impending dread and doom, each click of the 8mm camera adding to the overwhelming tension of anticipating the inevitable blood letting. They go a long way to adding to the mythology of the series, and nicely fill in the blanks left by the end of the first movie. Unfortunately the narrative threads connecting everything together leave a lot to be desired, with the story just sort of hanging there, waiting for another jump scare (of which there are a lot, mostly involving Bughuul jumping out of things he shouldn’t be able to) to kick start it again. A romance between So & So and Courtney is completely unneeded, and the introduction of Dylan and Zach’s abusive father goes nowhere. The characters don’t do much than provide the usual horror cliches, though the Brothers Sloan do a good job of selling the supernatural events swirling around them in a believable way. All the good will Foy has earned with the disturbing visuals and the building of an exceptionally creepy atmosphere is undone by lazy storytelling and unforgivable leaps of logic, especially as a completely unnecessary and head slappingly obvious twist rears its head with the third act in sight. From there on we’re in familiar territory, until a fun and creepy final game of hide and seek told through the lens of an 8mm camera shakes things up nicely. But that soon turns pretty cheesy when the ghost kids enter the frame and start wrecking shop. No matter how much you try, you can’t make a flying bag of golf clubs scary. While still containing the spark of originality that made the first movie so enjoyable and refreshing, Sinister 2’s lazy narrative makes the case, as do most horror sequels, that the original should have stayed a stand alone movie. While an interesting mythology is there, something different has to be done in terms of story if there are going to be any more instalments of this franchise.